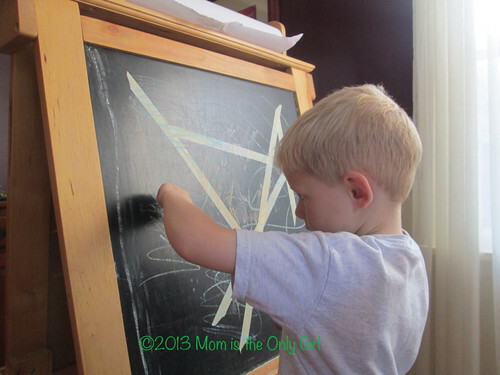 Sweet Pea still loves to create shape and letter resist art this way! I just wish I had updated pictures of it to share with you! I did want to share this with you, again, though, because I found it interesting that almost a year and a half since first trying this activity he still really enjoys it! 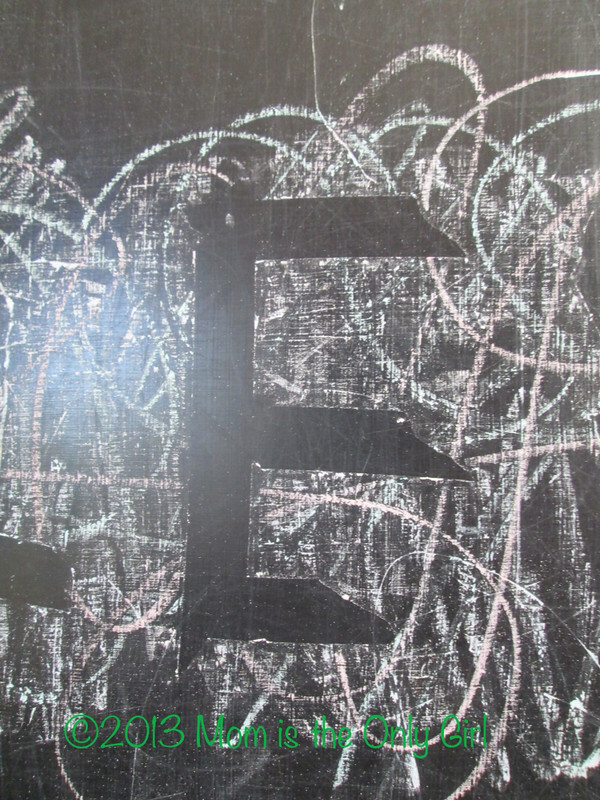 I’ve pulled this little idea out of my hat during this most recent cold spell and it hasn’t lost it’s magic, even now that he’s six and knows his letters ~ he just made different things with the tape! 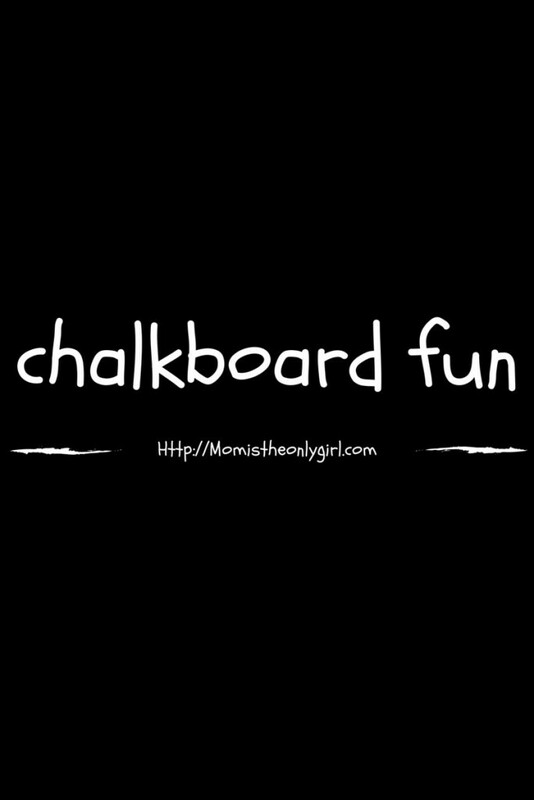 Think of other ways you can have fun with a chalkboard and try them out!